Bantamweight contender Joseph Benavidez pulled out a very impressive victory at WEC 52 by Team Alpha Male’s signature move, the guillotine choke and he was wearing none other than his very own FORM Athletics Joseph Benavidez WEC 52 Fight Shorts. It was really nice of his good friend and fellow team mate Urijah Faber to get Joe his own fight shorts designed. This is the last WEC that Joseph Benavidez is fighting in before the merge with the UFC so getting these shorts would be like getting a piece of history, moreso if you’re a Joseph Benavidez or Team Alpha Male fan. 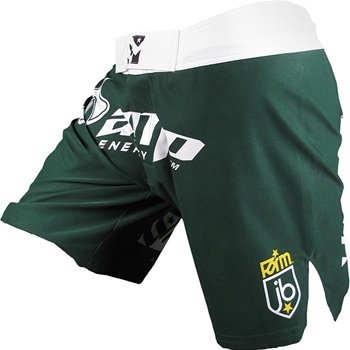 The FORM Athletics Joseph Benavidez WEC 52 Fight Shorts are available at MMAWarehouse.